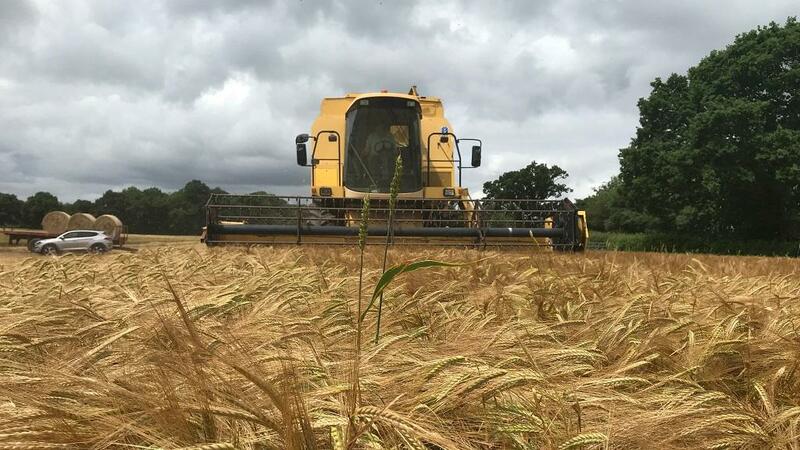 The combine was out on Friday afternoon in Cullompton, Devon where beef and arable farmer, Roger Adams, has taken what is thought to be the UK’s first cereal harvest of the year. Harvesting winter barley, he has crimped the crop to feed to his beef, bringing it in at moisture content of around 45 per cent. By crimping the barley, he is not only able to compile a ration with a high cereal content which can be safely fed to his beef, he is also able to maximise use of the land after the early harvest. He will immediately sow the cereal ground with Westerwold ryegrass, which will be ready to cut as silage by mid-September, in around three months’ time. Mr Adams, who farms at Honeypark Farm with his son, Craig, said the early-cut barley was drilled at the end of last September and was well established before the cold snap hit the southwest of England. 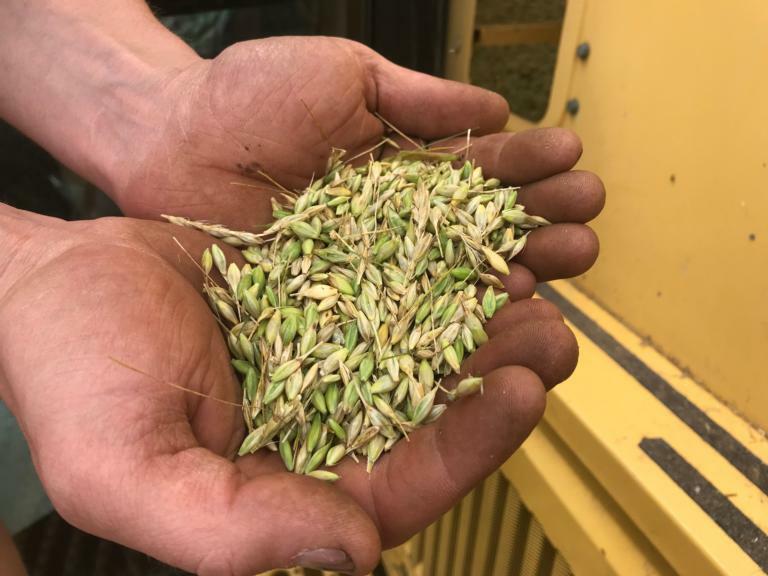 Although he hasn’t weighed the crop he says he is confident yields are high and is expecting a freshweight of around five tonnes/acre (12t/ha). Even when the high moisture of the crop is considered, this will produce a high dry matter yield per hectare. As the crop comes off the field, it is processed through a crimping machine – a KC 600 Bruiser – which flat-rolls the grain and applies the crimping preservative, Crimpsafe 300. This allows the crop to be stored in a clamp without any specialist facilities. “The barley goes straight through the Bruiser and into the clamp where it is rolled, compacted and sheeted in just the same way as silage,” says Mr Adams. Ian Hall from crop preservation specialists, Kelvin Cave Ltd, says the reason barley harvested for crimping produces such a high dry matter yield per hectare is because it comes in from the field in peak condition. Mr Adams is able to use the crimped barley to grow and finish the 400 head of beef he keeps on the 400 acre (162ha) family farm. It is used in a completely home-grown ration which also includes grass and maize silage, dry rolled wheat and beans. “Feeding a home-grown ration obviously saves us having to get the cheque book out to buy any cake,” says Mr Adams.